Russian search engine Yandex will Fool's Day has found out how users Runet express joy and a smile. It turned out that most Russians use the phrase "ho-ho" - it occurs at 682 thousand sites. Almost as often used close to sound, "Ha-ha" - 639 thousand sites. Approximately 180 thousand people giggle portals. "LOL" and "LOL" noticeably lose by frequency of use, and the most rare online laugh was the phrase "flies", occurring not more than 26 thousand sites, according to " Dni.ru . According to the " Yandex ", laughter occurs more than six percent of Russian sites. 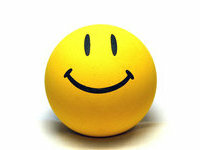 Smilies are distributed much more - they have 15 percent of sites, according to a study of the searcher. It is worth adding that the April Fool's Day services, "Yandex" decorated in the style of April Fools' Day: a search, mail, tube, pan, and the main page. Note that most Russians ask, "Yandex" about love. Every day this area are interested in more than 300 thousand users. It is noteworthy that such inquiries are three times more than the request of alcoholic beverages, and about a quarter less than that of unintelligible words. It is interesting that the number of queries about love does not change in February and March, despite three well-known holiday: Valentine's Day, Fatherland Defender's Day and March 8, writes Tengrinews.kz .